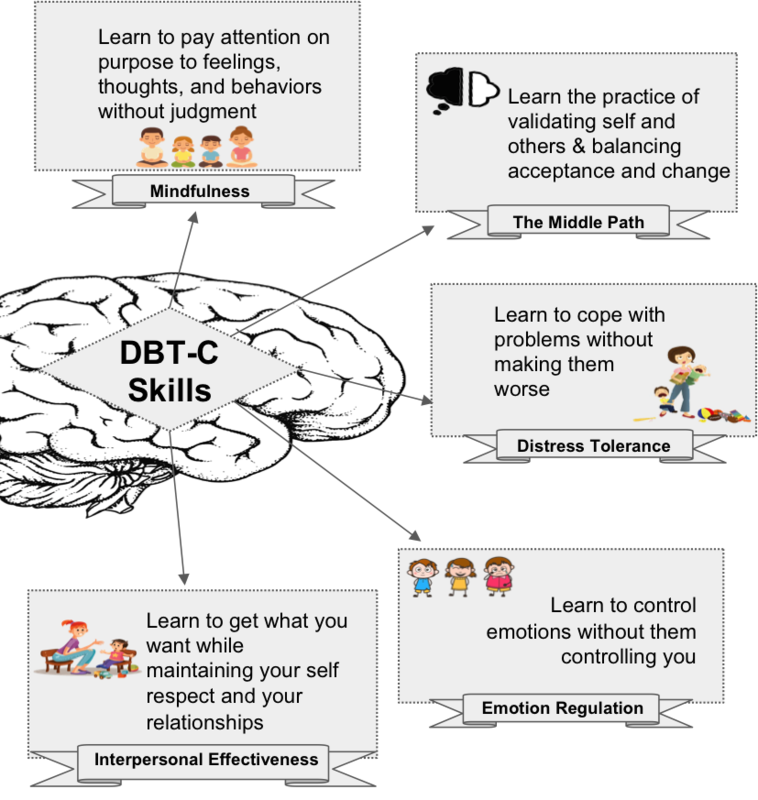 Unlike our traditional DBT program, DBT-C is individual and does not include group or class. Instead it utilizes the family to learn skills together. 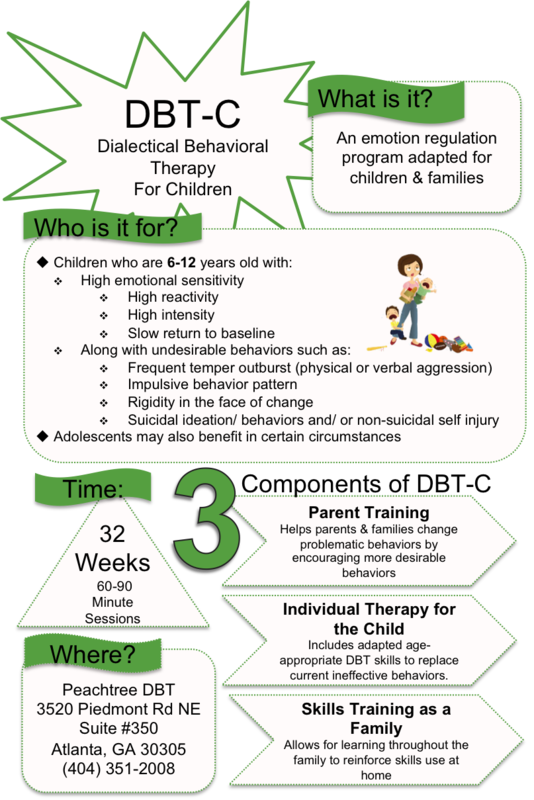 DBT-C was created by Francheska Perepletchikova, Ph.D and adapted from Dialectical Behavioral Therapy created by Marsha Linehan, PhD, ABPP.